Voiland College Ambassadors are a group of student leaders who represent Voiland College to industry representatives, alumni, and prospective students and their families. 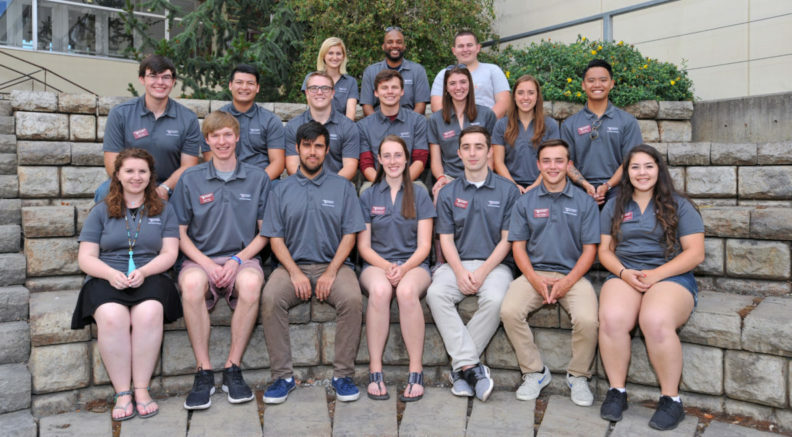 Through sharing their WSU experience and unique insider perspectives, Ambassadors help these key stakeholders connect with the college and gain understanding of the college’s important mission and critical efforts that are improving lives and changing the world. You will receive training in communication and leadership. You will then have opportunities to practice those skills by giving tours, working with industry representatives, and participating in public speaking events. You will have the opportunity to connect and work with industry representatives and leaders, donors, and others. You will receive $11.50/hour to train as a Student Ambassador. Once training is complete, you can earn $14/hour. Hi, my name is Emily Allen. I’m a senior studying Mechanical Engineering with a minor in Materials Science and Engineering. I studied for 3 years at Centralia College prior to transferring to WSU last year. I love that studying Mechanical and Materials Engineering equips me with practical skills that can be used to solve real-world problems. Through hands-on class projects, undergraduate research opportunities, and employer networking events, WSU has provided me with numerous resources to prepare me for a rewarding career. 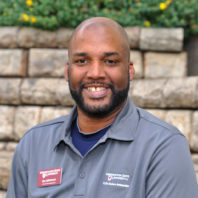 I would love to answer any questions about resources and ways to get connected on campus as a mechanical or materials engineer. Hi my name is Jason Dubois. I am currently a senior pursuing a degree in Mechanical Engineering. I transferred to WSU in fall 2016 and have been thriving ever since. 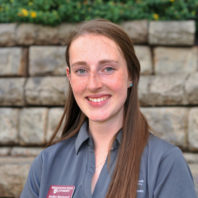 Being an advocate for higher education as a Student Ambassador has allowed me to personally grow and create a network that has allowed me to overcome many challenges. WSU has presented me with ample opportunities that have given me the ability to build the future I desire. I enjoy sharing my experience and knowledge to help facilitate others choosing their path at WSU. I would be pleased to meet with anyone that is considering attending WSU or interested in the field of engineering. Hi everybody! My name is Rachel Forbes and I am senior at WSU double majoring in Computer Science and DTC (Digital Technology & Culture). Throughout my time at WSU, I have been very involved in clubs and other extracurriculars, and I also have two jobs as a web developer to help pay for school. 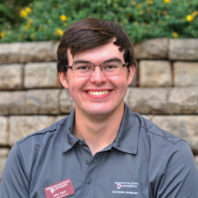 Along with being an Ambassador, I am currently the president of the VCEA Coordinating Council, Co-Chair/Co-Founder of the ACM-W, Vice Chair of the ACM, and the logistics coordinator for the CrimsonCode Hackathon. I really love computer science because it allows me to challenge myself every single day by solving problems with various levels of difficulty. I also enjoy always learning; in computer science there is always something new to learn, and even in a full-time job there is always new things to discover. My love for computer science and technology is one of the reasons that I became an Ambassador. I really enjoy working with incoming students because I like to be able to share my experiences and answer questions so that incoming students can find their passions early and succeed in both school and in their future careers. Hi, I’m Mark Holy. My major is Computer Engineering with a minor in Computer Science. I am a senior this year. 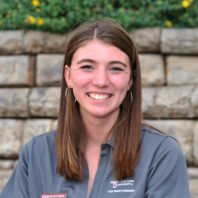 I love being an Ambassador for the Voiland College of Engineering and Architecture because it allows me the opportunity to share my experience with so many others. I also get to assist incoming and potential students with any troubles they may have, which helps me to give back to the school I have such pride in! WSU has always been a home for me; I’ve been visiting Pullman for football games since I was about 6 years old. I always knew I would end at WSU here for school and came with an open mind about what I was going to do. This attitude led me into the Voiland College as a Computer Engineering major, teaching me valuable skills and allowed me to use its resources to my benefit. 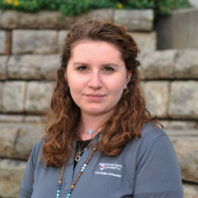 My major is awesome because it has provided me with so many new experiences and valued job skills, while keeping me interested in almost everything that I have been able to do in a class/lab setting. I also love how open and welcoming each professor is, making each student feel as if they’re always on the pathway to success! Howdy there! My name is Quinton Lum, and I am currently a junior pursuing a degree in electrical engineering with a power focus. This year will be my second at WSU; I transferred here from a community college back home. To be honest, I was nervous and unsure when I first started my studies here. One of the reasons I became an ambassador, and why I love the job, was for the opportunity to talk to all potential students, particularly those who felt as I did. Washington State is an incredible place for learning and personal growth. The Voiland College especially does its best to guide and motivate students to achieve their goals and reach the lofty heights they are capable of. 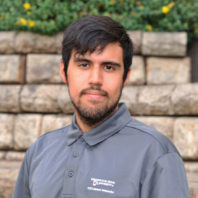 I began studying Electrical Engineering with the hopes that what I learn will enable me to help or aid anyone I can; renewable energy and energy efficiency are two of my greatest passions in engineering. Having to decide on a school is very difficult, and being a new student can be even harder. It’s my mission to help answer any questions you may have about WSU, what the transfer process is like, and the electrical engineering program. Hope to hear from you soon, Go Cougs! Hello there! 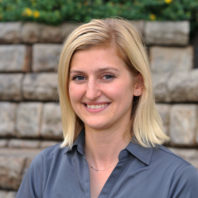 My name is Heidi Lyons and I am a senior studying Computer Science. I transferred to WSU from Green River College two years ago. I have a passion for helping others and providing mentorship when I can to future Cougs, whether it’s in the form of career advice or by providing information on the different majors we have to offer here. I chose to study Computer Science because I enjoy writing code that solves complex problems. The best part about programming is that anyone can do it, too! If you are interested in learning more about Computer Science and why WSU is right for you, please contact me! My name is Kevin Wolfrom. I’m a senior studying Chemical Engineering. I transferred to Washington State University from Highline College during the summer of 2016. Besides working as an Ambassador, I work as a research assistant and serve as the president of the Harold Frank Entrepreneurship Institute. I want to go to law school after I graduate to pursue a career in patent prosecution. Hello! 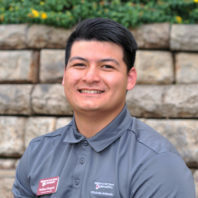 My name is Jovan Araiza, and my major is Computer Science. I am a junior. WSU is the right place for me because it provides a comfortable academic environment in which I can develop, meet great friends, and discover my true self. Hi there! 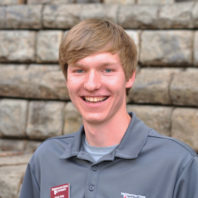 My name is Nathan Dragich, and I’m a senior earning a Bachelor’s degree in Mechanical Engineering and a minor in Mathematics. To be honest, I’ve been raised around Husky fans all my life and choosing to be a Coug made me the “Black Sheep” of the family! So since I moved here, I’ve been a Coug! As an Ambassador I love being able to support and encourage my fellow students towards academic and person success. If you’re a prospective or incoming student, feel free to reach out to me. GO COUGS! 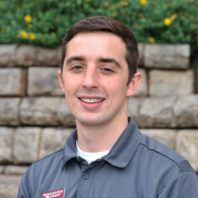 Hi, I’m Jake Dyer and I am studying Mechanical Engineering. I am entering my senior year and I’ve been attending WSU since last fall. I have loved every second of it. I transferred from Cascadia College in Bothell after two years. What I love about Mechanical Engineering is the amazing diversity of opportunity I have. My degree will allow me to improve the quality of life for thousands or millions of people across the globe. My mission as an Ambassador is to share my love of engineering with anyone who is wondering about it, as well as share my experience in the Voiland College and at WSU. Hi my name is Brandon Hamilton and I am currently pursuing a degree at WSU in Civil Engineering. I am entering my senior year and I couldn’t be any happier with my major. I love being an Ambassador because it allows me to teach others about engineering and all that WSU and the Voiland College has to offer. Washington State has provided me with many opportunities to grow as an individual as well as create meaningful relationships with professors. Hello! My name is Madison Newberry. I’m a Bioengineering student minoring in Neuroscience and math. I’ll start my senior year this fall. I’ve been a Coug since I started my college education. I love being an Ambassador because I get to promote WSU and the Voiland School, giving it and the students the recognition they deserve. WSU feels like home to me. I love being a Coug and connecting with Cougars all around the state. I hope to make prospective and incoming students’ experiences positive. 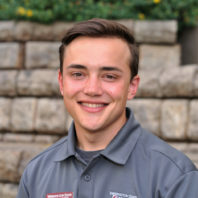 My name is Ian Johnson and I’m a Junior here at Washington State University majoring in Civil Engineering with an emphasis in Structures, as well as a double minor in Mathematics and Construction Management. I like to say that I’ve been a Coug all my life I just didn’t know it, but I’ve actually only been one since 2015. What I love about being a VCEA Student Ambassador is that I’m able to express the pride I have in both my school and my department in a tangible way that others can see. I truly enjoy giving back to the institution that has given me so much! 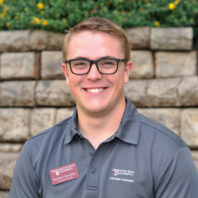 If you’re here then you probably have a small sense of Cougar Pride, but I think that WSU is right for me because it’s a given me the opportunity to learn more than just academics; I’ve truly learned more about my character and the type of person I want to be as well as the example for others to follow. I enjoy working with new students coming to WSU because I feel as though my life experience can help them navigate the challenges they are sure to face along the way to getting their degrees. Students who need some guidance on class schedules, life/school balance, what they should consider for a major/minor, or just a friendly face and welcome ear should contact me, I will work with anyone to find a solution to any problem they might have! Cougs stick together no matter what the challenge may be! 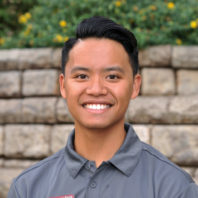 Hello, my name is Ken Oliva and I am a senior here at WSU pursuing my degree in Civil Engineering. A fun fact about me is that I drive a 1982 Toyota Pickup, (Classic). I have been a Coug for about one year now and love it so far. I chose WSU because I believe there is more opportunity to get real experience other than sitting in a classroom. The reason why I also believe my degree is right for me is that I have always wanted to build things and became so fascinated with construction when I was a little kid. Hi! 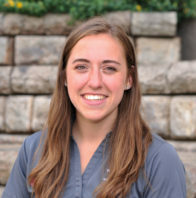 My name is Jordan Raymond, and I’m a junior studying Mechanical Engineering. This is my third year here at WSU and I’ve loved every second! I chose Mechanical Engineering because I enjoy learning about how things work and the mechanisms responsible. I hope that by giving tours I can show others what makes WSU such an amazing place to learn and grow. 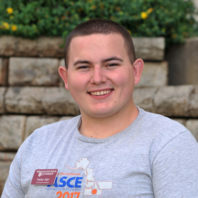 My name is Asa Reyes-Chavez and I’m a sophomore studying Civil Engineering. I look forward working with incoming students and faculty. I am involved in many groups around campus within my major as well as leadership and intramural clubs. I believe WSU is the best community to be apart of and I hope to see you soon! Hey there! My Name is Nolan Sijer, and I’m a senior at WSU studying Civil Engineering. I have been a Coug since I transferred to WSU in the Fall of 2016. 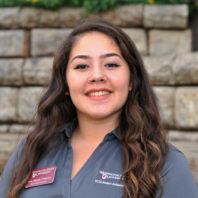 I chose WSU because of all the immediate opportunities to get involved in different activities on campus, and which is why I love to be an Ambassador so I can try to help students realize all the great things you can do in addition to school while studying in Pullman. 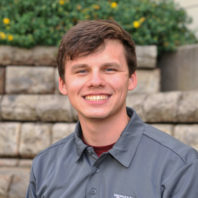 I want to help students get involved within the Voiland College, and you should contact me if you would like help getting involved in the world of civil engineering at WSU!